day (or more specifically sleepless night) on this earth we were tired, weary, very much at the end of our tether. We unwrapped it and fitted it into her Snuzpod (it's a perfect fit), after six nights, we had found the key to a decent kip (for all of us). Eighteen weeks later she hasn't spent a night without it. Why is it so good? In those early days it stopped her waking herself up with the startle reflex, kept her tightly snuggled and I guess made the transition from the cosy womb (I'm assuming I have a cosy womb) to the big wide world easier to adjust to. We introduced it at the same time as the Whisbear and the two together really did have a miraculous effect, she slept. She only woke to feed, and at last, we got some sleep too. It was a lifesaver in those early days. Fast forward to today and the startle reflex has long gone but the Sleepyhead is still earning its keep. We haven't quite got around to putting her upstairs to sleep while we're still downstairs so we pop her in it inside her kitchen cot, then take her up and slot the whole thing (Sleepyhead and baby) into the bedside crib without waking her up. It has new benefits as she's grown bigger too; now that she's started to try rolling, it stops her moving in the night so I know that I'll find her exactly where I left her. It means that sleepovers in different places are fuss free too because I can always take her bed with us. Sleep is not its only use. I use it regularly for that all important tummy time, it means that her arms and head are raised up so she doesn't bury her head in the bed when she becomes tired of holding it up. Tummy time on a flat surface distressed her at first, she thought we were out to suffocate her, I'm sure, but prop her in the Sleepyhead and she was happy to give it a go. She holds her head up well now and is confident on her front. I love the white cover, although lots of patterns are available, and, helpfully, it's easy to clean. I throw the cover in the washing machine and it's back in action the same day. It has to be! The only improvement that I could think of would be a stronger clip at the bottom of the pod, she's strong enough to kick it with her feet and the clip pops open. If she wasn't held in by the snug fit in her Snuzpod she might be able to slither her way out of the bottom. Never doubt their slithering abilities. The Sleepyhead Deluxe Pod is supposed to last until eight months so at the most we have another four months before we need to move on. She's already filling it quite well. There is a larger option to graduate to that lasts from 9-36 months but we'll cross that bridge when we come to it. As my friend said, she'll have to let it go at some point, she's not going to get a giant one for her 18th birthday. 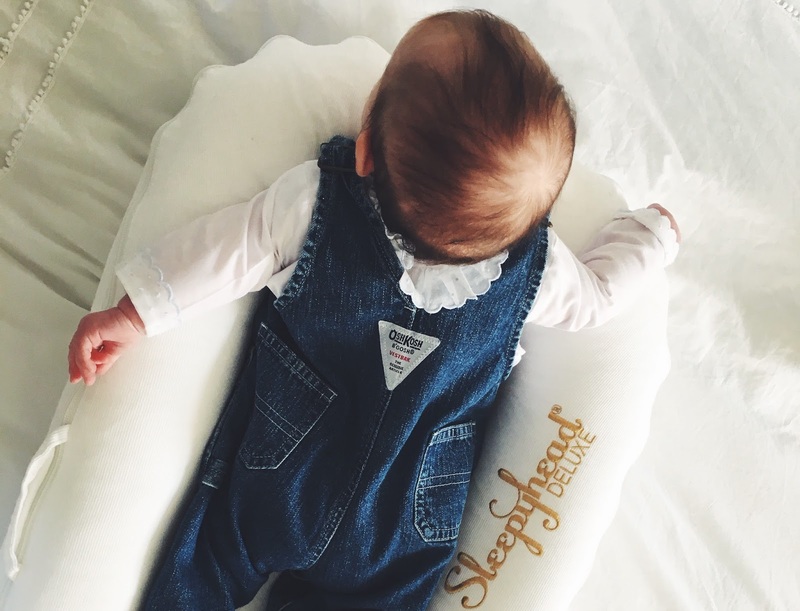 What are your essential pieces of baby kit? I'd love to know in the comments below. 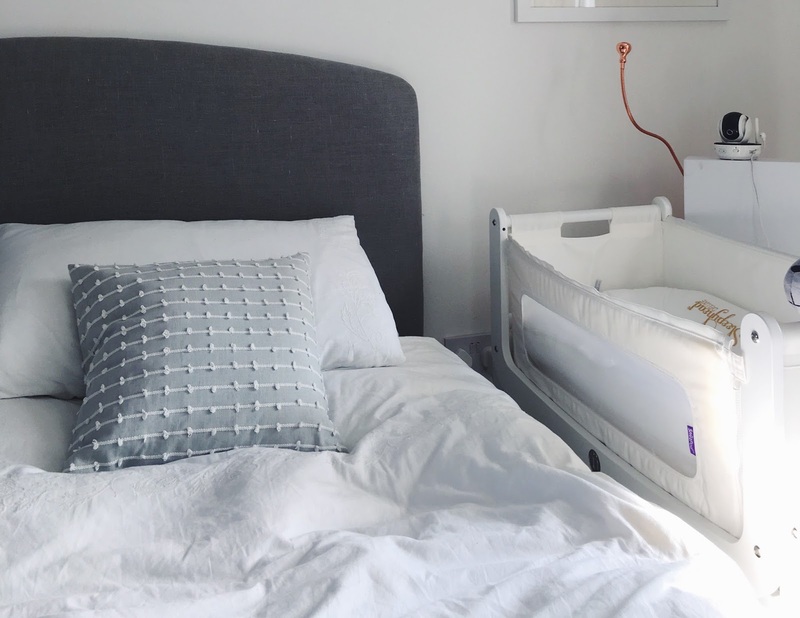 We bough the Sleepyhead Grand for our 7 month old, who was sleeping awfully in his cot and it was Ana b solute game changer!! If we have another baby I'm going to buy the deluxe before it's even born! Brilliant product! !